Sir Robert Bruce Lockhart was a very interesting man. His book, Scotch: The Whisky of Scotland in Fact and Story, appeared in 1951 when its author was in his sixties and approaching the twilight of a fascinating life. After a good education, Lockhart was sent to Malay to help one of his mother’s uncles who was trying to establish a rubber plantation. A previous failed venture in coffee had necessitated converting the distillery into a limited liability company to raise capital but the family retained control at that time. After an eventful few years, Lockhart returned, having fallen ill with suspected malaria, though it was also speculated that he might have been poisoned by jealous rivals or the family of the beautiful daughter of a local prince whom he had seduced and shacked up with. After his recovery, Lockhart joined the foreign office and was sent to Moscow, where he played football for a local factory team despite being Vice Consul at the embassy. Then came the Russian Revolution, and Lockhart was forced to leave Moscow. Three months later, in January 1918, Lockhart was back in the USSR as Prime Minister Lloyd George’s Envoy to the Bolsheviks. Interestingly, he was also working for the secret service, essaying various missions including using diamonds to set up a network of Russian informants and attempting to rescue the imprisoned Tsar Nicholas II. Lockhart soon fell foul of the Russian authorities and was arrested and imprisoned in the Kremlin later the same year, accused of plotting to kill Lenin. He was later exchanged for the Russian diplomat Maksim Litvinov, who had been arrested for spying in the UK. Lockhart wrote up his colourful life in his first book, Memoirs of a British Agent, which appeared in 1932 and became an instant smash hit, even being made into a Warner Brothers film in 1934. He has been suggested in some quarters as a guiding inspiration for Ian Fleming’s James Bond. 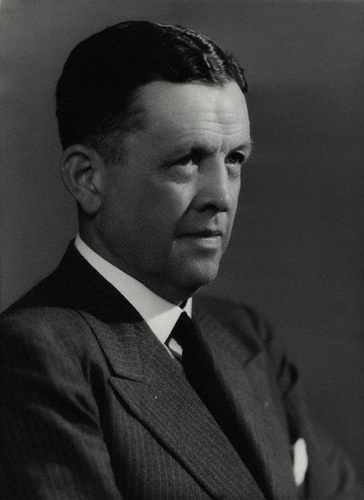 After working in propaganda during WWII and a subsequent spell as a diplomat in the Czech Republic, Lockhart returned to being an author and wrote several more successful books, including Scotch in 1951. 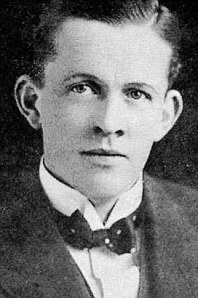 Lockhart passed away in 1970, aged 82. 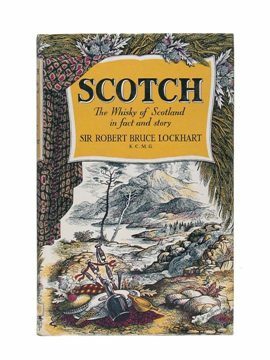 Lockhart’s Scotch was written when its author was in his sixties and had already been famous for nearly two decades. He had never lost his passion for single malt whisky, though, inspired by his fond memories of his youth in Strathspey, which he describes as ‘a paradise’. Lockhart’s book is essential for its placing of whisky not just in the history of Scotland but in the fabric of its communities. It is exceptional, too, for its deeply felt sentiment and its sensitive and compassionate tone, as well as a brilliantly understated sense of humour, without ever crossing into mockery. Entertaining, informative and wonderfully elegantly-written, Scotch: The Whisky of Scotland in Fact and Story is one of the most inspiring books on the subject of whisky ever published. Reading Sir Robert Bruce Lockhart’s stirring prose with a glass in hand is surely one of the greatest pleasures any malt fan of literary bent can have.